What is social media or social networks? Social media is the set of platforms, tools, applications and media with which brands can not only distribute their content through Inbound Marketing, but also generate conversation, interaction and collaboration with users. Social networks most frequently used by marketing professionals include Facebook, Instagram, Twitter, Linkedin, and YouTube. Social networks have great importance as a channel for disseminating content and contacting the community within an inbound marketing strategy. They can also be used to generate leads and even to capture users in later stages of the conversion funnel. Social media strengthens the link between brand and audience. To this day, for many people, social networks are the place where they spend most of their time on the internet. Being present in the same sites as your audience can help us eliminate communication barriers. Social media is a channel that stimulates virality naturally, since all of them have the option to share the contents with other users. In fact, a good part of the publications made by members of social networks are based on sharing and recommending. For brands, this is a great opportunity to promote word of mouth and make content reach further. Social networks are one of the most interesting points of contact for influencer marketing. Through these prominent users, we can connect with our target audience and earn their trust. Being present in social media encourages the brand to be aware of the trends and allows them to anticipate the sector's news and consumption patterns. Social networks are a channel for generating quality traffic to our website, which we can then capture to convert into leads. Social media allows us to be continuously connected with the target audience and get feedback in real time. In this way we can learn about their tastes and needs. Social networks provide immediacy in contact with the customer. Today, users have become accustomed to getting what they are looking for at that moment, so they have a low tolerance for waiting times. Social networks provide a channel where they can dialogue with brands in real time. Social media helps create a community in the medium and long term. Through following a brand, you establish a contact that can turn into a loyal customer. Social networks allow us to launch highly segmented publicity. Thanks to social ads platforms, we can take advantage of all the information that each social network has about users to launch our campaigns right to the target audience we are looking for. Social media allows us to obtain detailed and real-time statistics on how our content is getting social engagement. We can use this information to know which content works best with our target audience and thus reinforce the inbound marketing strategy. Diffusion of content. Social networks are a very valuable channel to publicize branded content among the target audience. In some cases, we can even create the content on the network itself, as in the case of live videos. This will help us increase the number of qualified visits to the brand's sites and incorporate new users into the conversion funnel. Launching promotions and offers. In later phases of the conversion process, we can attract users to become customers by publishing our promotions and discounts through social networks. Here we can also take advantage of the viral effect of social media to increase the impact of campaigns. Branding and brand awareness. Social networks allow us to connect with users through the platforms they use on a daily basis. In this way, we can reach them with the brand's message and generate the first contact. To reinforce this effect, it will be necessary that the channels in social networks fit with the aesthetics, tone and values of the brand. Create a community around the brand and its products or services. A company’s page in social networks can serve to create a community of followers. Interacting with these over time reinforces brand loyalty. Customer contact. Social networks are an excellent channel to answer users questions and problems in real time, with a lower cost than traditional channels such as a telephone service. Dissemination of content. Thanks to resources such as promoted posts, we can make certain content reach more users. Generation of qualified traffic to our website. Lead generation. In some cases, we can get the user to leave us their contact data without leaving the social network, which facilitates the conversion. Increase in interactions with the brand. Facebook and Instagram Ads. These two social networks are integrated into the same advertising platform, which allows launching coordinated campaigns between both. It is one of the most interesting platforms both for its scope and for its possibilities in terms of ad formats and segmentation. YouTube Ads. A fantastic option to launch video advertising, with multiple creative options. LinkedIn Ads. Very suitable for B2B brands or focused on professional services. We hope that this information has helped you to better understand what social media is and how you can incorporate social networks into your inbound marketing strategy, through both organic and paid methods.Don’t miss out the most important step: designing and launching your own social media marketing plan. 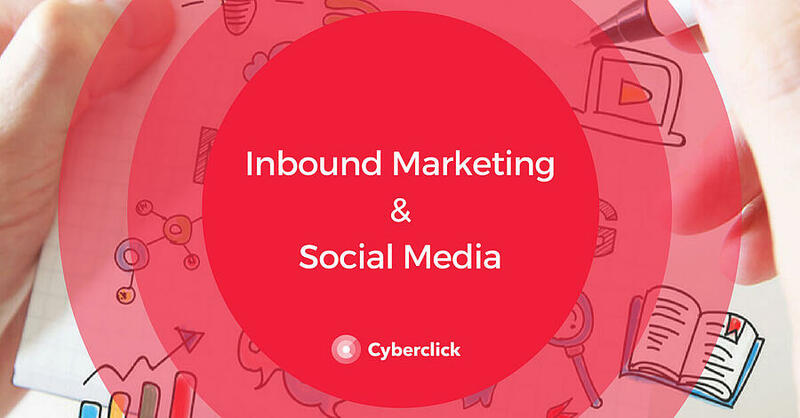 If you want to take advantage of the full potential of social networks to publicize your brand, create a community and generate leads and customers, at Cyberclick we have a lot to offer you. We will be happy to be part of your social media team.